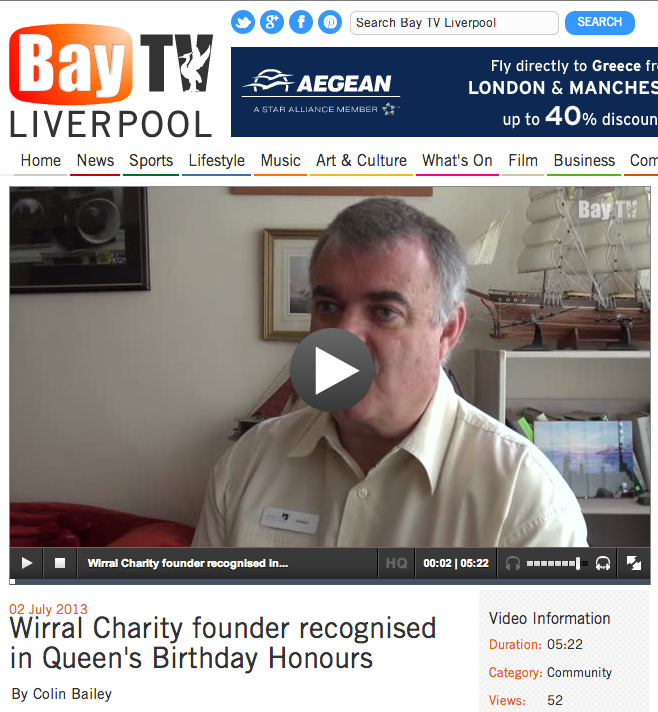 Graham Wilmer, founder of the Wirral-based Lantern Project, has been awarded an MBE in the Queen’s Birthday Honours, for his work over the past 13 years, helping survivors of childhood sexual abuse cope with the long-term impact of the trauma they suffered. Mr Wilmer, who, like the majority of survivors, kept silent about abuse he had suffered as a child, for 40 years, until finally disclosing his ordeal in 1998, after suffering a mental health breakdown, following which he set up a small support group, Victims No Longer, to help himself and other victims. In 2003, with the help of his friend and fellow survivor, David Williams, he founded the Lantern project, a registered charity, based initially in Graham’s family home in New Brighton, offering support and counselling to victims in Wirral. Graham also set up a web site, offering support through a Survivors Forum, and within12 months, the charity had been contacted by hundreds of victims from all over the UK. Professionals, including GPs, Social Services and other agencies began referring victims to the project for help and support, and by 2005, the project was inundated, so an application to the Lottery provided a small grant that enabled the project to rent a small building that became the hub of the counselling service, which ran a day time and evening service, until 2008, when the project was given a grant from Wirral Primary Care Trust, enabling them to move to larger premises and hire additional counsellors, to help deal with the ever increasing demand for their services. Since then, the project has produced a range of books and films, to help victims deal with the trauma they have experienced, and also to give professionals a better understand of the long-term consequences of child abuse, and how to treat the problems that emerge over the life of survivors. The Lantern Project is also working with the Metropolitan Police, Merseyside police and North Wales police, on a number of high profile child abuse investigations, providing support and counselling to the victims. Graham is also leading the call for a national commission for victims of abuse to be set up by the government, an idea which is gathering momentum, following declarations of support for the idea from the heads of child protection at the Church of England, the Methodist Church and the National Catholic Safeguarding Commission. Graham said: “I am trying to get the government to publicly recognise the awful damage caused by child abuse, which needs to be treated as a public health epidemic, because that is what, in reality, it is. They continue to drag their feet, but we are now making some headway, thanks in part to the sea change in the way the police and the CPS are now treating victims of child abuse, as a result of the fall out from the Jimmy Savile case.